Linzi Mclelland: There exists a common belief among the masses that the people winning the various beauty pageants are engaged in their beauty business only. All the beauty kings and queens just quit their jobs and what they only focus on is that how they can become more beautiful or maintains their beauty. This misconception is developed by ignoring the fact that they also have to earn their living so they can work as other people do. A recent example is being set by a 24 years old girl Linzi Mclelland, who is a cabin crew member in Emirates airline. 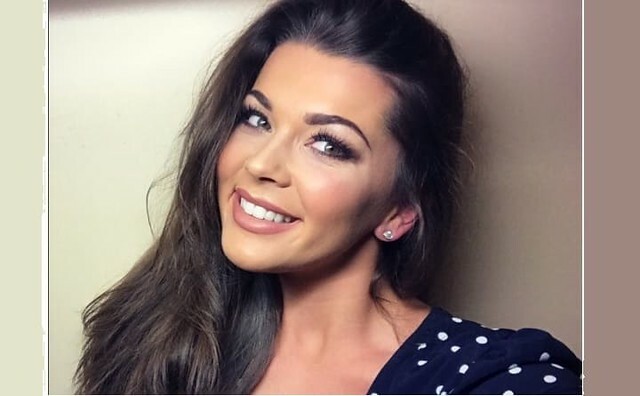 Miss Scotland 2018: She won Miss Scotland 2018 title and went straight back to her job. She did not say goodbye to Emirates International after she won the crown. Along with her cabin crew duties, Linzi is now being featured in the airline promotional videos. Linzi is working for the Emirates International for the past two years and has been very active on Instagram, posting pictures about her activities and job. She herself announced in March that she has been selected as the Emirates promotional team member. All Set for Miss World: Linzi Mclelland is all set to go for the Miss World 2018 competition, which is going to be held in December 2018 in China. The Miss Scotland title, she won earlier was held in June 2018 which made her shine at international level. As Miss Scotland, she is working for a social welfare cause also. She has engaged herself in raising awareness about the mental health, especially focusing on the suicide awareness. Emirates Promotional Videos Featuring Mclelland: Emirates international has released many videos, introducing Linzi Mclelland as the cabin crew member, pointing towards the fact that she is still the part of the airline in-spite of winning Miss Scotland 2018. Last week, a promotional video was released by Emirates featuring Linzi. The video was made to promote the airline flights to Edinburgh, Scotland, with one flight from Dubai every day starting from Oct 1. She has become an active member of Emirates Airlines: After winning the title, she has become a very prominent and active member of the airline public relations campaign also. Being a known personality she is found to be quite effective in convincing and communicating positively with the clients. Personally, Mclelland is found to be a very active person having a jet like a lifestyle in which she posts pictures of her travel on Instagram on regular basis to keep connected with people.